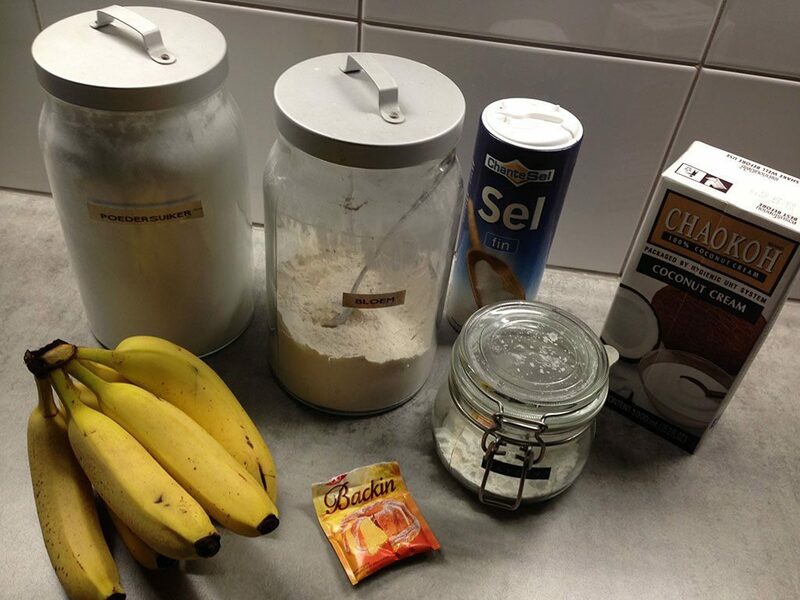 *Note: Make sure the coconut cream has been cooled overnight and don’t …. the package. This way the thicker part will be separated from the coconut water. The coconut water can be used for other recipes, such as this curry. 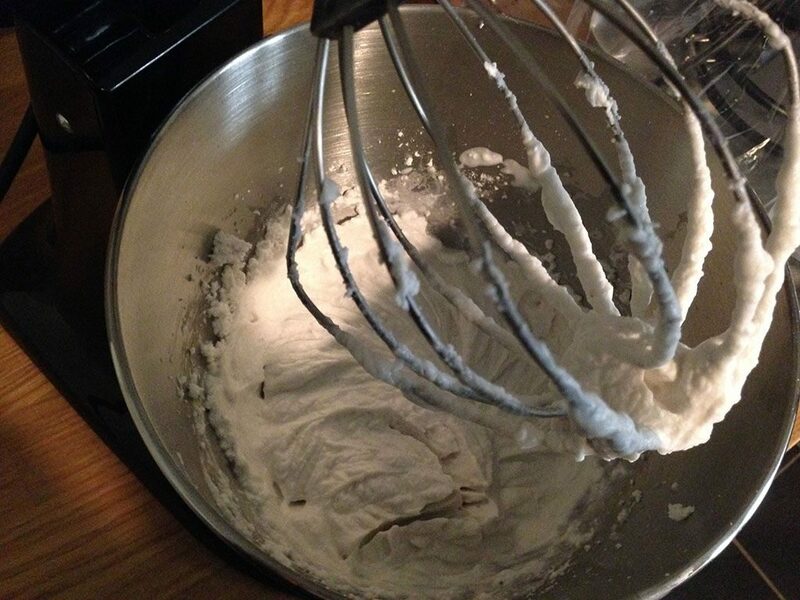 First CREATE a smooth batter by combining flour, baking powder, cornstarch, salt and water. HEAT sunflower or other neutral oil in the heavy bottomed pan until it reached about 180 degrees Celsius or 350 degrees Fahrenheit. If you don’t have a thermometer, you can also check with a piece of paper kitchen towel. If you’ll notice bubbles in the oil, it’s hot enough. PEEL the bananas and slice them in half lengthwise. BEAT the solid parts from the coconut cream until it’s fluffy, this will take a few minutes. If it’s still too solid, add a bit of the coconut water. SEASON the coconut cream with powdered sugar and place in the fridge. 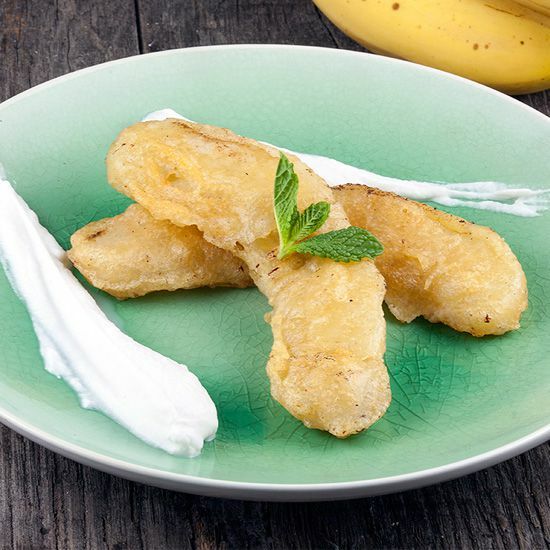 COAT the bananas with the batter and fry them for a few minutes, or until they’re beautiful golden brown. Don’t overcrowd the pan and repeat until all the bananas are fried. TRANSFER them to paper kitchen towels to get rid of any excess oil. 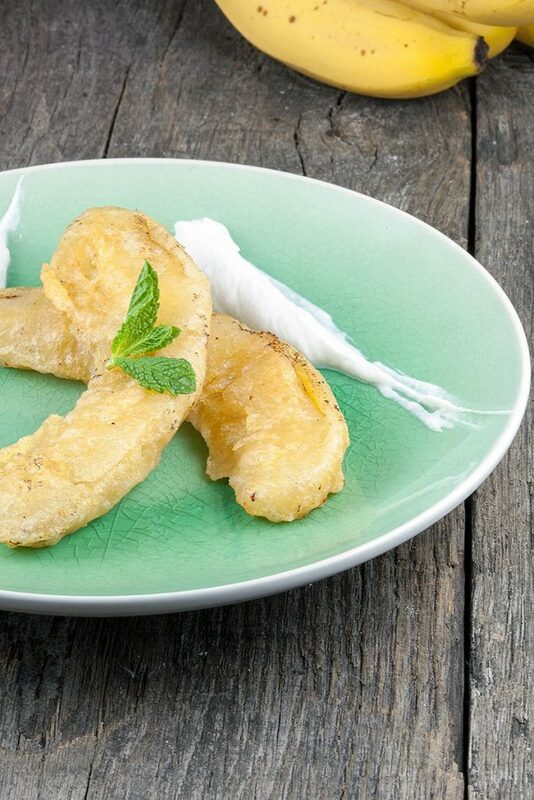 SERVE the fried bananas with the coconut cream. 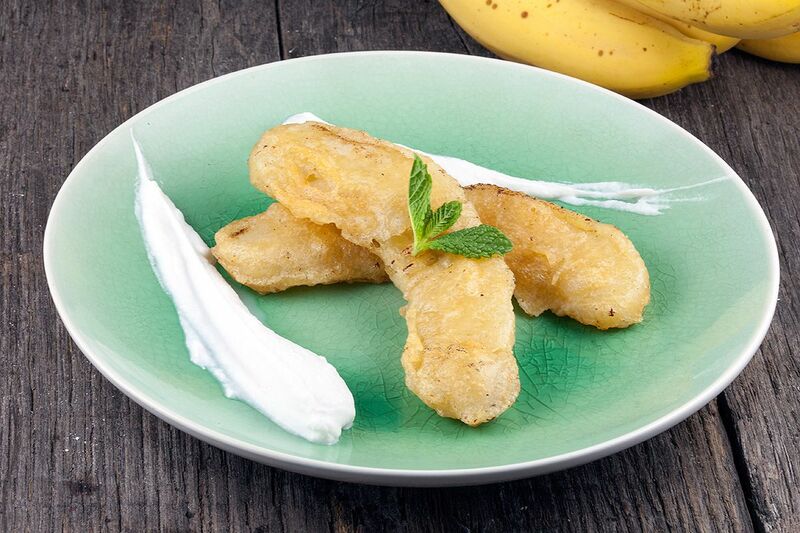 If you place the hot bananas directly on the whipped coconut cream, it will become liquid again. GARNISH with fresh mint if you like, enjoy!